Catalyst Game Labs took over Mech_Con last Saturday to not only showcase their upcoming products but also put on a huge tabletop experience. And I am not even joking – an entire corner of the convention was entirely devoted to CGL’s massive game tables. Technically, Catalyst had more space devoted to them than any other company present. But it’s not the size that matters – it’s what you do with it. Catalyst was certainly no slouch there, putting on a workshop for BattleTech veterans and newcomers to the tabletop alike, featuring incredible hand-painted miniatures and sprawling campaign maps. For new BattleTech players, it was a chance to see what inspired the computer games that were on center stage. Catalyst wasn’t just there to put on a workshop though. They were also there to showcase the latest designs for their upcoming products, of which they announced many, and all of them to be appearing in 2018. The first big announcement was two new box sets for the tabletop game. 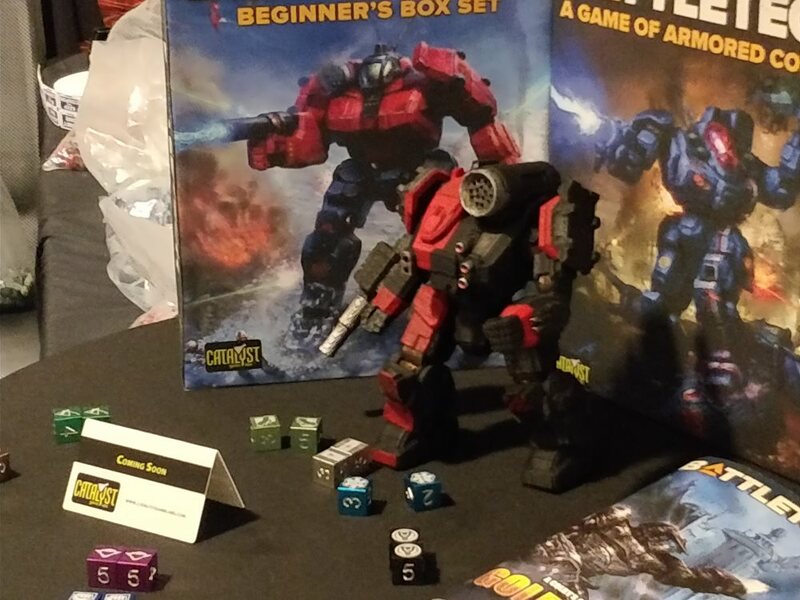 The first box, simply titled BattleTech: Beginner’s Box Set, is intended as a quick start to the BattleTech game. 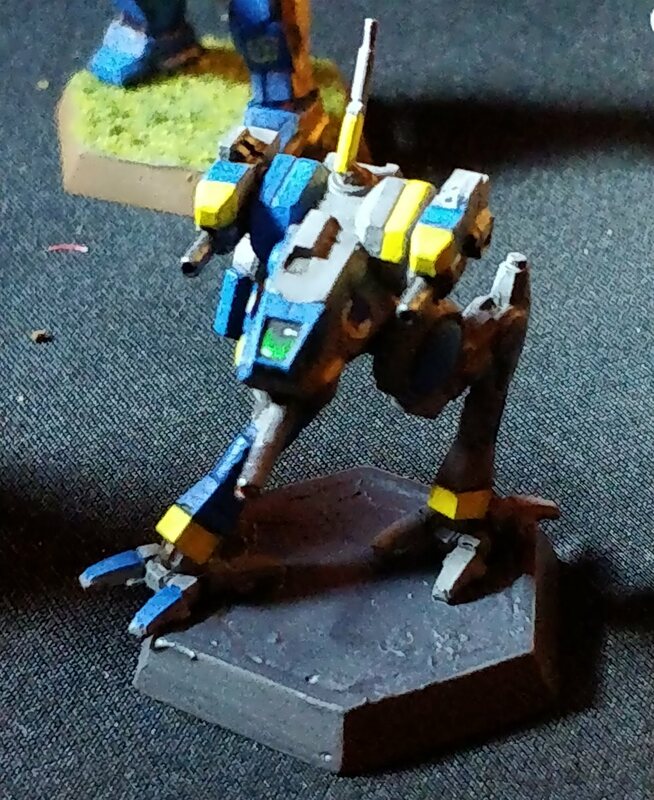 Consider it BattleTech on training wheels, very similar to the quickstart rules that were given in previous editions of BattleTech. 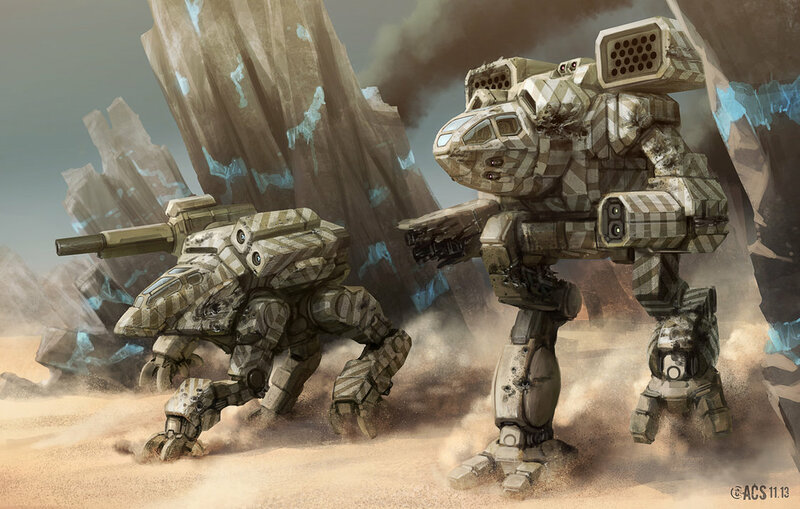 The box will come with two minis – a Griffin and a Wolverine – and one map sheet to play on. 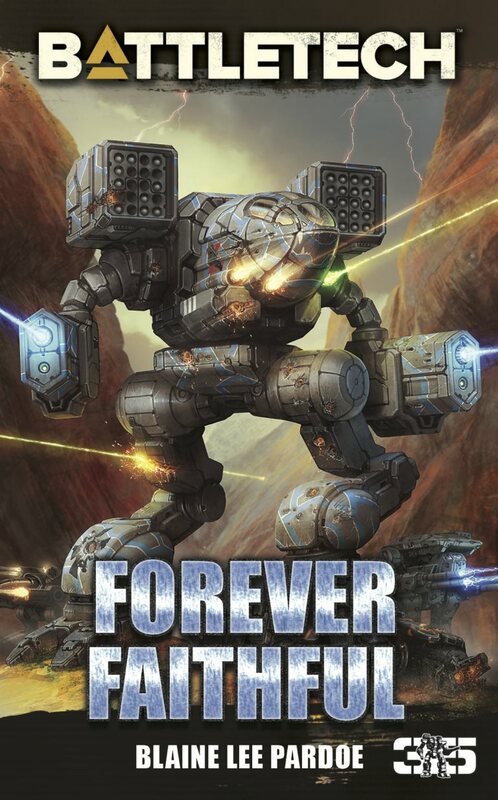 This will also be one of the cheapest BattleTech boxes ever at just $25. The second box will be the main course. 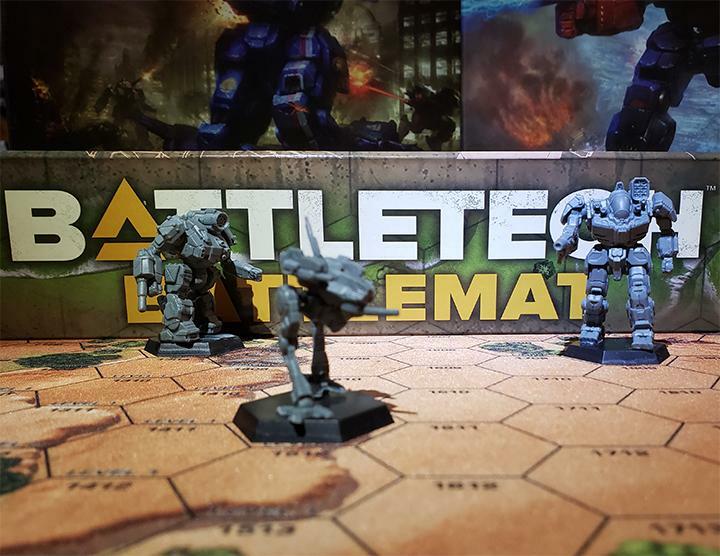 BattleTech: A Game Of Armored Combat will feature eight miniatures, two map sheets, and the full rules to BattleTech. 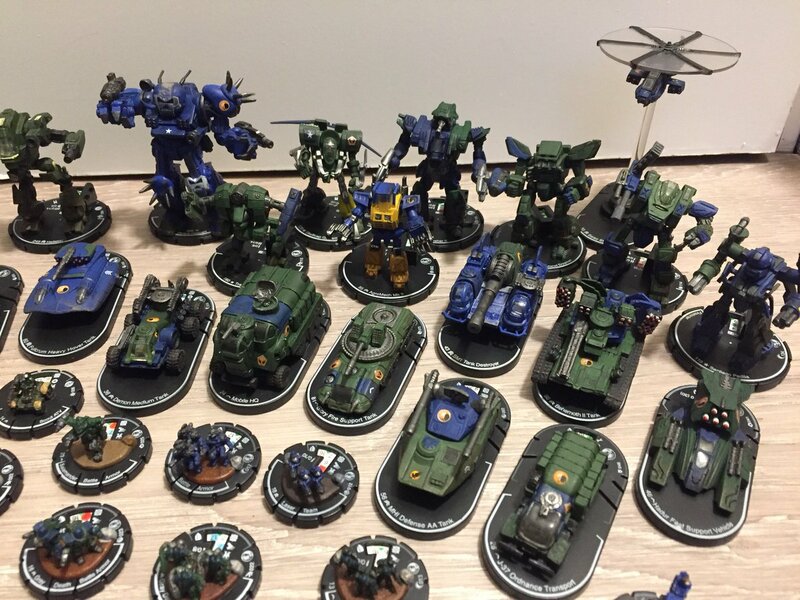 The eight minis included will be a Battlemaster, Awesome, Thunderbolt, Catapult, Shadowhawk, Wolverine, Commando, and Locust. 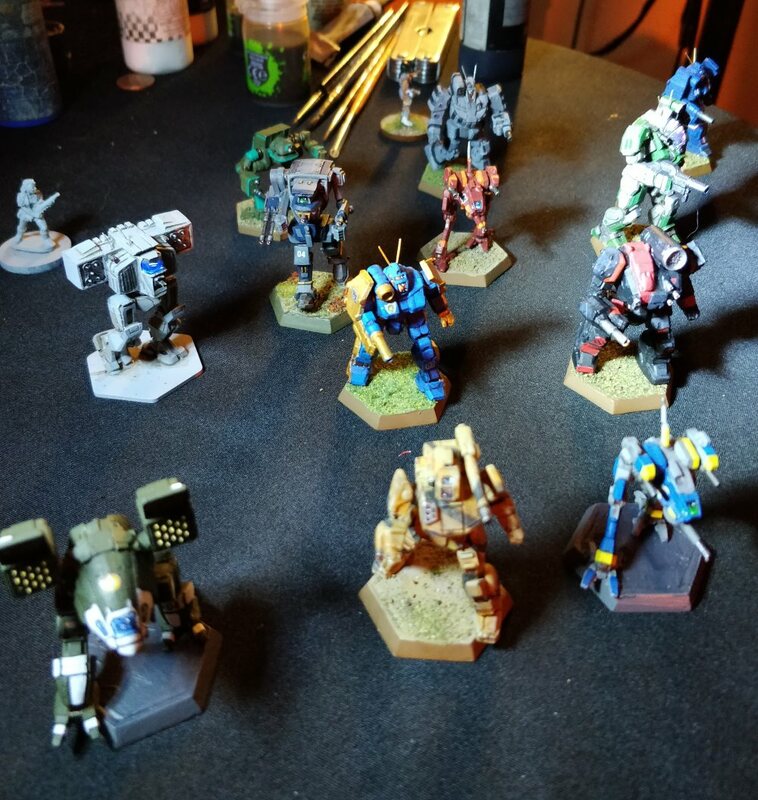 Each of the minis is based on the redesigned art featured in BattleTech: Alpha Strike and are hella cool. 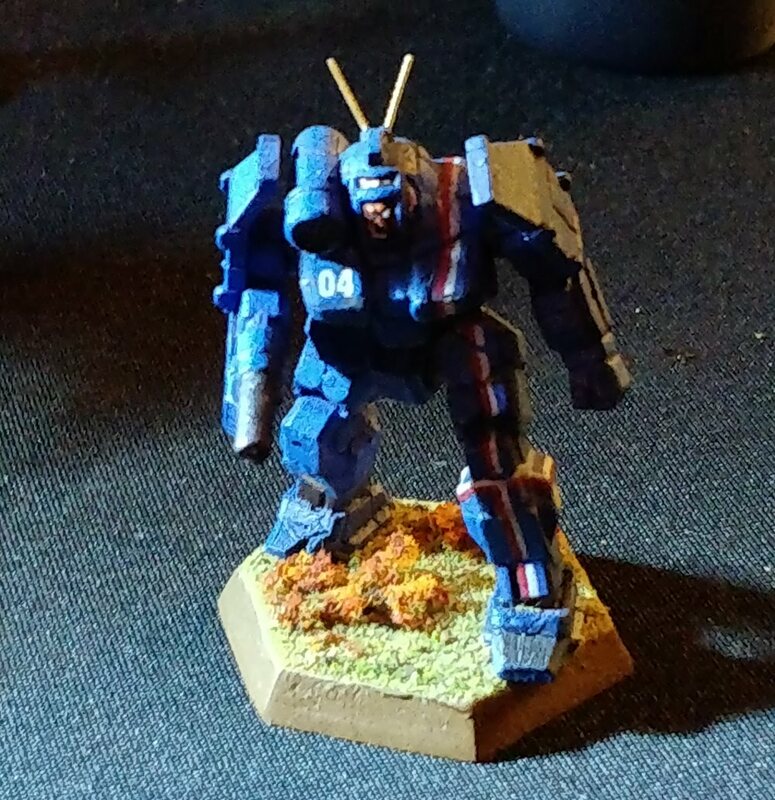 Take a look at some of the snapshots I grabbed at Mech_Con to see what I mean. Randall Bills also said that these will be out before next year’s GenCon in Spring of 2018. The new minis are currently only going to be available in the new box sets, so keep this in mind for the BattleTech mini aficionado in your life (I’m lookin’ at you, CamoSpecs). 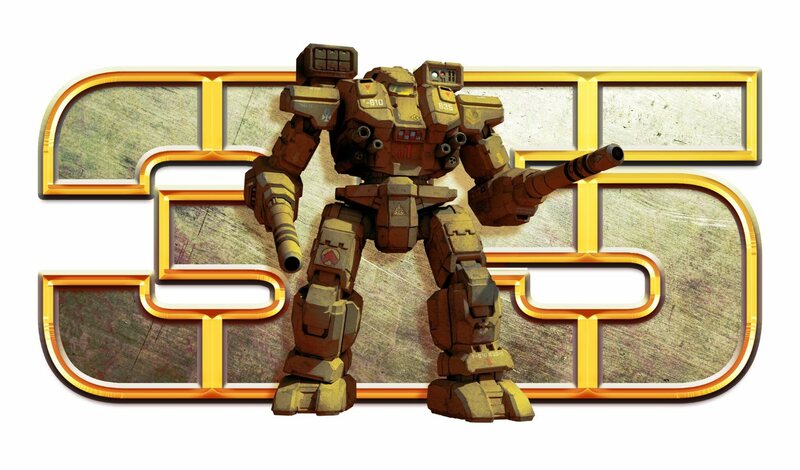 Along with the new box sets, Brent Evans also announced brand new BattleTech fiction coming in the new year. He was mum on much of the details, but he did tease a new short story that deals with Durant Carlyle, Grayson Carlyle’s father, and his exploits as part of Carlyle’s Commandos. 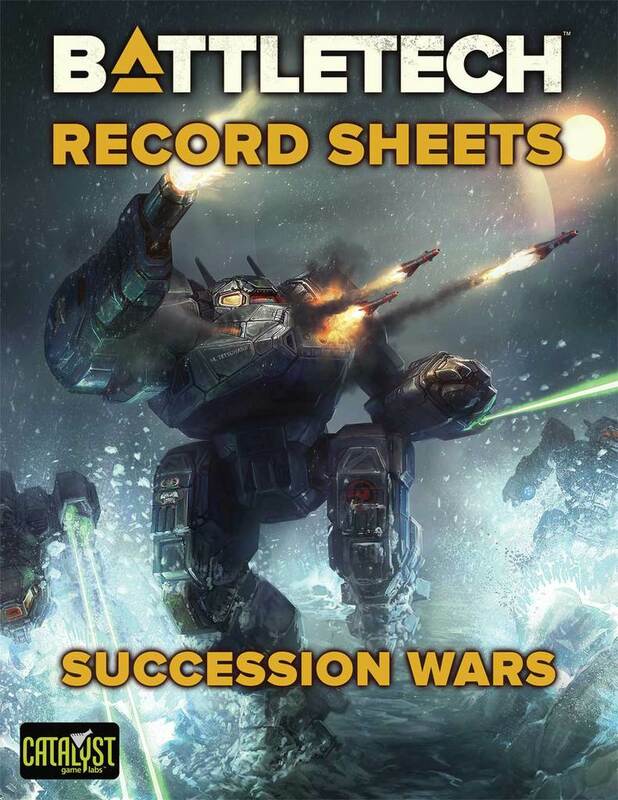 There will also be short fiction to be found in the campaign books set to come out in 2018 as well, of which precious little info was provided. 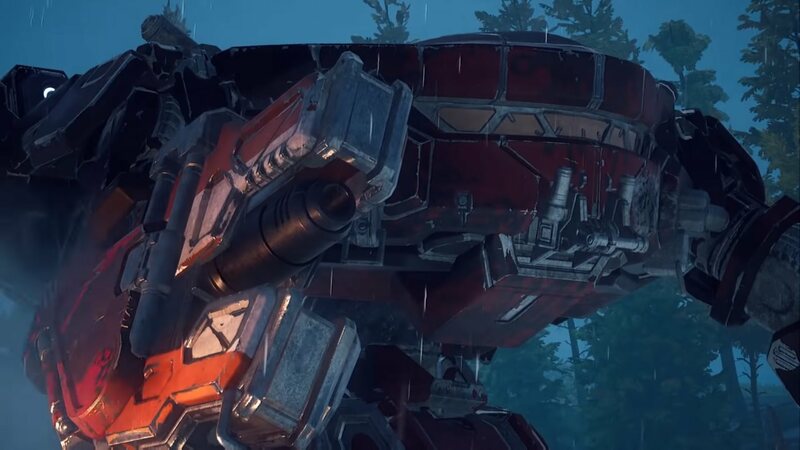 Veteran MechWarriors will also be happy to note there will be brand new map sheets available soon that will be based on the new fiction. They’ll also be included in the new box set, so if you want to kill two birds with one stone you can shell out for the latest version of the tabletop to save on shipping. 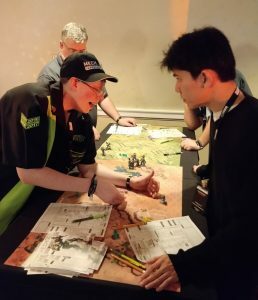 And finally, the biggest news of all for classic BattleTech fans: CGL plans on hosting a series of events in 2018 to take place worldwide. I don’t have any other details than that, but expect to find out more on that bombshell before the new year. That’s it for Catalyst! 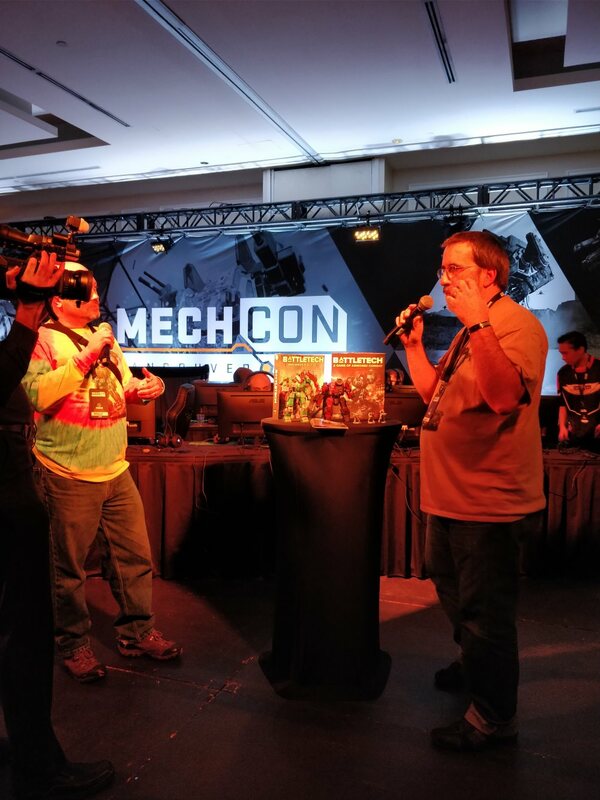 Stay tuned as we hit all of the big names to attend Mech_Con in the coming days. Note: An earlier version of this article stated that the redesigned minis would available separately, but they aren’t. So buy that new box set to get your mitts on them! 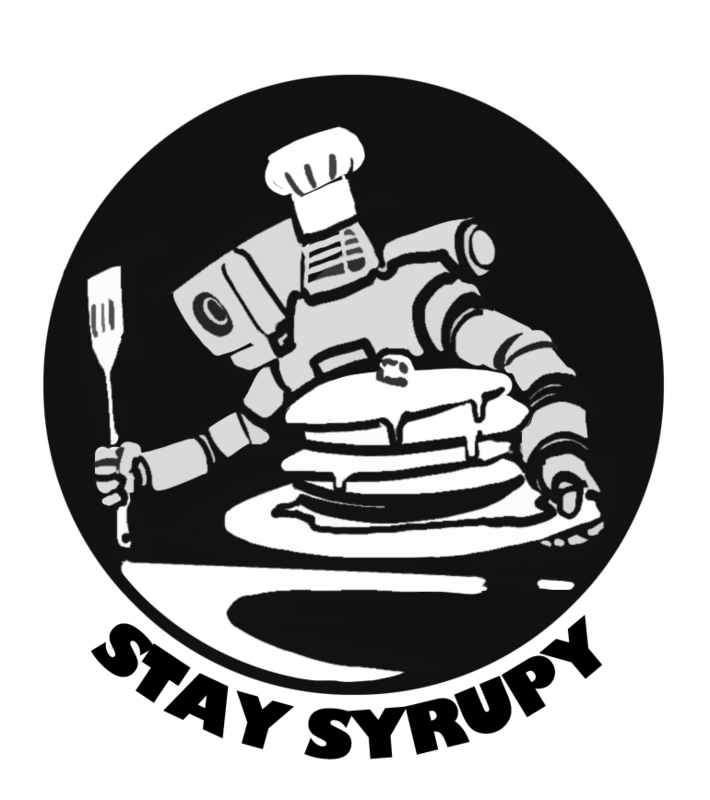 This entry was posted in Catalyst Game Labs, Convention, News on 2017/12/13 by Sean. Can you let me knew when this box will be released? I live in Okinawa so I’m hoping to buy this from the States and have it shipped to a FPO/AP address. Why is it nearly impossible to google for these? They are hardly mentioned on the Catalyst Battletech site! Many of us are ready to preorder but there’s hardly any way to find these products by name. Hello from Norway , i have recived both boxes from Gencon. but there where no maps in the boxes?